One of few marijuana lounges I have had the pleasure of visiting in Canada, and it did not disappoint. Super chill atmosphere with a spacious floor-plan and friendly staff. The first thing you will notice when walking into Vancouver’s New Amsterdam Cafe, is that every table in the place is set up with a Volcano. 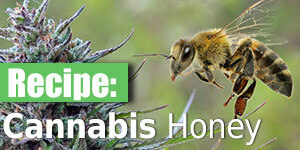 They also have a nice selection of glass pieces to choose from if vaping isn’t your thing. 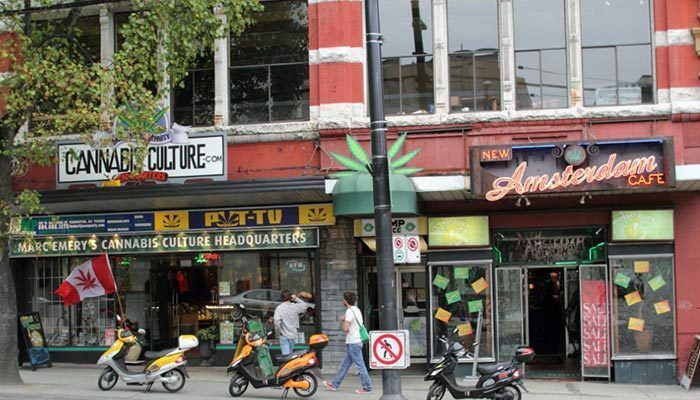 Set up, chill out and enjoy the view of West Hastings street while you toke. 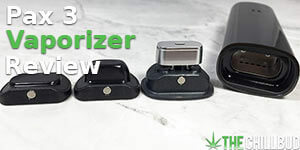 Conveniently located beside the 7,500 square foot Cannabis Culture Superstore, you can pick up a new piece and test it out at the vapor lounge. 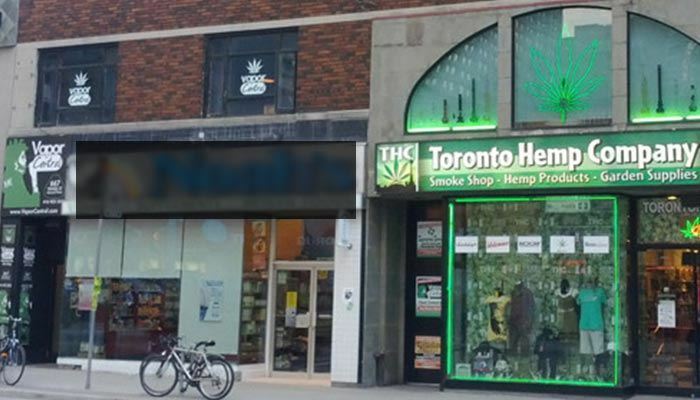 They claim to be the largest, coolest and greatest vapor lounge in Toronto, warmly welcoming any medical cannabis users, cannabis enthusiasts and activists alike. Besides the tasty treats and cool beverages, they offer some pretty awesome live entertainment. Because you should be able to toke while you enjoy some local stand-up comedy. 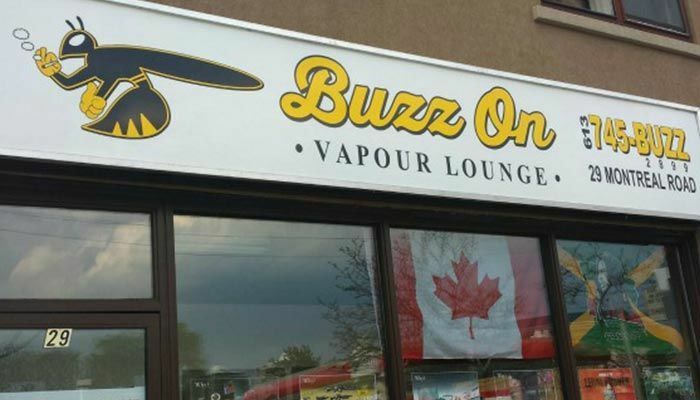 Probably the newest vapor lounge in Canada, BuzzOn took up shop in the nation’s capital on 4.20.2015. They offer comfy sofa’s, flat tables, vaporizers and papers free of charge, with some classy glassware available for rent. BuzzOn was met with some resistance from the local authorities just hours after opening, but this wasn’t enough to deter these kush kaptains. They are operating one of the only vape lounges in Ottawa and offer some live stand-up comedy on Saturday nights. If you are in the area, drop by and show some support. 2985 Lake Shore Blvd. 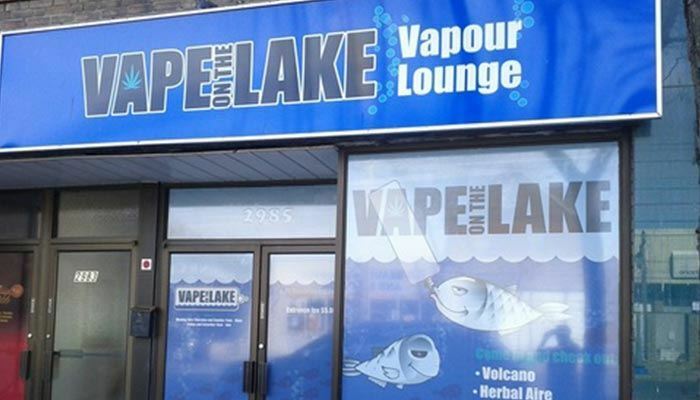 W.
Located about 2 blocks from Lake Ontario, this aptly named vapor lounge is one of many in the Toronto area. They have plenty of smoking devices to choose from, or you can bring your own from home. Vape on the Lake also offers free Wi-Fi so you can facetime during your sesh. In case you’re looking for more tantalizing entertainment, they have “Jokes on the Water” open mic comedy every Monday hosted by Paul ‘SativaKing’ Thompson. 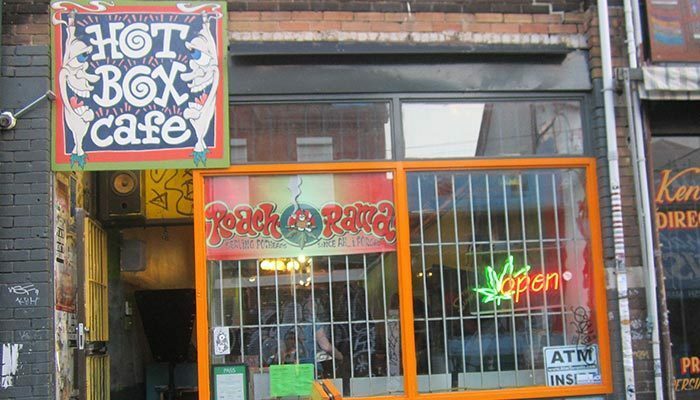 Repping a vape patio or “potio” gives the Hot Box Cafe a unique twist compared to other popular marijuana cafes. The Hot Box Cafe has a Arizer V-Tower (Canadian Made Vaporizer on par with the Volcano) on every table. The annual 4:20 party is something every Toronto stoner should check out. With a plethora of live entertainment, prizes and all around fun times, it’s a great way to spend your favorite holiday. Right on their website they say “We strive to offer healthy food in a pot friendly environment with a positive attitude,” which is just what we are looking for in a quality cannabis lounge. They cook up some tasty hemp-heart fortified pizza’s for patrons to enjoy once the munchies hit. This Pie / Pot shop was established in 2014, and we hope they stick around for years to come. 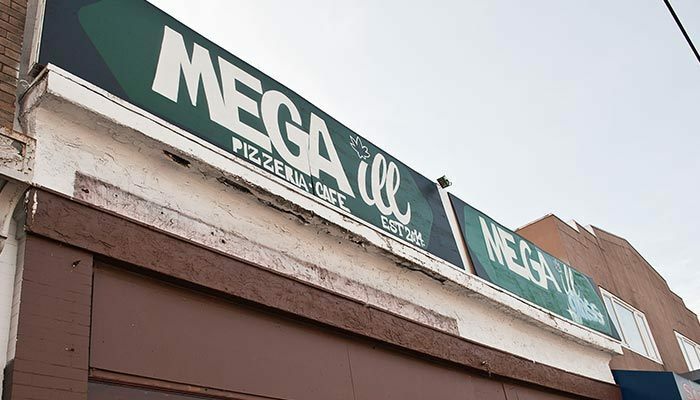 Giving pot heads a relaxing place to chill and enjoy some top quality pizza pie.